Stars from different generations in the television industry, Ha Yu (夏雨), Sheren Tang (鄧萃雯), and Ali Lee (李佳芯) gathered together for a special interview with Ming Pao in commemoration of its 50th anniversary. The stars spoke about their struggles and insecurities at the start of their careers, proving how hard their paths were before fame. As a first-generation actor at Hong Kong station, RTV, veteran Ha Yu has played leading man in countless dramas. 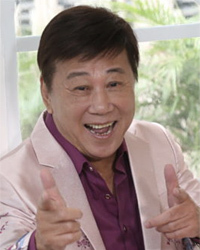 He has even been crowned TV King, but the cheerful actor experienced a very rough patch when he first arrived in Hong Kong during his younger days. “I had no family when I first got here, and money was so important. If you had a family, even if you lived in the resettlement areas you still had a roof over your head. If I had no money for rental fees, the landlord would throw my things out onto the streets, and I would be penniless and starve,” he recounted. “After working in the industry, I remember every Friday was payday but there was a week when the production assistant skived on his job, so I didn’t get my pay on time. I passed by Gloucester Luk Kwok Hotel and my show was airing on the TV screen. I was starving because I had no money for a meal, so I imagined myself dying in front of the TV, and when the police arrived they would realize a TV star has died from starvation in the streets. It was funny, but also pathetic. I really lacked a sense of security, ever since young I faced many worries and struggles. It was very tough,” he added. Entering the television industry in the golden age of the 1980s, Sheren Tang faced intense competition, but had the chance to play female lead right from the start. She remembers how her ex-boyfriend, Alex Man (萬梓良), taught her to be obedient and accommodate the company’s arrangements as much as possible. “I tried filming two period dramas at once. Because it was too tiring, my gums became very swollen, and I started getting delirious. My co-workers told me to go to the hospital, but I had never been hospitalized before. I told myself ‘that unless I really had to, I would not apply for leave. I can’t have anything for the company to pick on; I want them to know that I am an affordable and good worker.’” Back then because she was not savvy with speaking up for herself, and was not good with pleasing people with the right words, she could only win by being “tough as a bull” when it came to work. 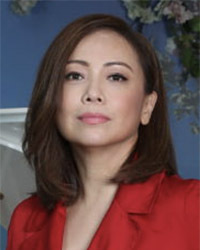 Among the new generation of TVB actresses, Ali Lee’s consistent performance has earned her as a favorite to win TV Queen. While many speculated that Ali’s progress is a sign of powerful support from high-ranking individuals behind the scenes, she actually really worked her way up from the bottom. Ali also feels that being an actress is really a practice and a form of cultivation, much as life trains us to become a better version of ourselves. She recalled a time when she received praise for a role she had played, but thereafter she had no offers at all for a period of nine months. “I kept thinking had I done something wrong somewhere? Had I offended anyone? My thoughts started to run awry…. I feel that when you try pleasing everyone, it is really no difference from offending everyone. So there is no need to do anything to please others. I entered the industry to become an actress, so I should simply do my part well and deliver every role to my best,” she concluded. Sheren Tang is a diva now isn’t she?